When the email arrived, my first thought was: Can this be for real? It made me shudder. And made me think of the washed up lawyer played by Paul Newman in The Verdict, going to funeral homes to pass around his card, pretending to have known the deceased as he chased cases. But instead of standing in their parlors handing out cards, this company wants lawyers to hang advertising on their site where the bereaved might go in time of need. So, not really believing this email was real, as I thought it too sickening to be true, I shot back a reply to its sender, Tom Keesee: Is this for real? And Keesee called back quickly, perhaps excited about having a having a potential fish on the line. Yes, he said, it was for real. But before he could launch too deeply into his sales spiel, I asked him about the ethics of it all. Lawyers don’t pay him for leads, he said, so there was no problem. Also, since they aren’t attorneys, they don’t have to comply with attorney ethics rules regarding solicitation. I pointed out, of course, that the lawyers they wanted to do business with still had to comply with ethics rules. And wasn’t this solicitation? He told me, a couple of times, that his “legal department” had looked into it and it was fine. But rather than dwell on whether lawyers advertising on a funeral home website is a permissible form of solicitation or not, I’m going to move right to the “smell test” as in, does this smell right to you? This marketing madness happens to come at the same time that a debate rages elsewhere in the legal blogosphere on this subject, because the American Bar Association recently announced it was going to look further into regulating online activity for lawyers. Larry Bodine, fired the first salvo, from the perspective of lawyer-marketing, trying to stop the ABA from working on the project. Scott Greenfield worries that his opportunity to blog could be impaired because of the liars and scoundrels out there, claiming to be something that they are not. Brian Tannebaum points out that it was the marketers that brought this on themselves. There is more on this from Antonin Pribetic, and and a summary of the issues presented to the ABA by Carolyn Elefant. There seem to be many ways in which ethics can be laundered. So here’s what I think: The ABA position doesn’t really matter. And you know why? Because when lawyers see conduct that they deem to be offensive and detrimental to the legal field — and I think that lawyers advertising on funeral home websites fits that definition — then some lawyer-bloggers will write about the subject. And if those bloggers are sufficiently offended by the conduct, then they might publicize the names of those that are chasing cases in such a manner. You can see examples of such e-shaming here by Mark Bennett, or another by Kevin O’Keefe here. The web moves very fast when it comes to correcting the behavior of those that act offensively, a hell of a lot faster than the ABA. Witness this week, for example, the conduct of Judith Griggs who edits a small magazine called Cooks Source. She stole the work of others, did it without attribution, and tried to justify the plagiarism by claiming that the web is considered “public domain” that she can use. Colin Samuels at Infamy or Praise did a long piece on the subject as part of his Round Tuit round-ups, but here’s the thing: If you Google “Cooks Source” now you can see how she and the company has been savagely beaten up by the web, with page after page of venom. Their Google reputation is shot. There are some who used to believe that any publicity is good publicity, so long as the name is spelled right. In an earlier era, a person might remember seeing a lawyer’s name in a newspaper, though not necessarily the details. But now the details are easy to find. Judith Griggs will likely see those comments about her for decades to come. The old mantra about any publicity has been destroyed by the web. 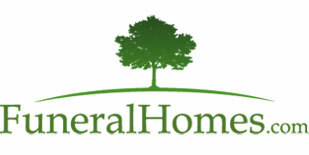 So what kind of publicity is likely to come to a law firm that advertises on FuneralHomes.com? Those attorneys that think this might be a good way to find cases ought to consider the potential backlash from those that are offended by the concept and wish to write about the subject. The bar for attorney advertising has been lowered to new depths. It now appears to rest six feet under. Updated: I was reminded of an old post of my by a friend, where a law firm decided it would be savvy to advertise over a urinal. The FuneralHomes.com scheme certainly fails the “smell test,” as you call it, as do the blogs that writers like Kevin O’Keefe have targeted in recent weeks sensationalizing fatal accidents for marketing purposes without the benefit of sincere thought or the presentation of additional information. Fortunately, there’s a thriving legal blogosphere out there that is discussing important issues in a tasteful way. This makes me wonder: why are funeral homes (and other businesses) not regulated by certain ethics guidelines? Thanks, I’ve added a Kevin link. He has done this before, and I think it’s effective. I love naming and shaming. I love that if you Google the name of a certain “SEO professional,” the first hit is my post ridiculing him. That may make me a bad person. Funeralhomes.com’s history of questionable or illegal practices goes back at least to the end of 2008/beginning of 2009. They were then selling a list of meta tag keywords with the bogus claim that adding them to a Web site would “move you up higher in their rankings expeditiously.” We called them on that lie, and published an article in a major Deathcare trade publication citing proof from the most respected authorities in the SEO world. Thanks for the brilliant post. I felt the same way about it when one of my lawyers received the email. Not wanting to be a prude, I surveyed other marketers. Hands down they all felt the same way, it failed the smiff test. I am happy that you wrote this blog post on the subject. It has more impact coming from you. However, I am sure that the company will hoodwink some law firm and make the sale. Sad, but true. I hope that everyone reads your blog post. Keep up the great writing. It helps to raise the bar in legal ethics. Several years ago Texas passed a law to prevent lawyers from soliciting business at funeral homes. Result, a couple of Texas barristers (maybe more I lost interest) solved their dilemma by buying a funeral home. Game, Set, Match. Then there’s the stupidity of it. The same lawyers will be ready and willing to sue the stuffing out of the funeral home for ’emotional distress’ at the drop of a hat! Most funeral directors wouldn’t want the association. It doesn’t sound like effective advertising. Those who are looking for a funeral home are looking for funeral homes, not attorneys, pastry shops, garages, massage parlors, etc. I personally don’t think that the site will be successful since funeral homes are an integral part of a community. The bereaved family members usually turn to the funeral home that buried the last family member or that caters to their religious/ethnic group. I don’t see a problem with the advertising. I just don’t see it as effective. BTW — this blog post inspired me to put The Verdict onto my NetFlix queue! Got it last night and enjoyed it thoroughly. Thanks, Eric! BTW — this blog post inspired me to put The Verdict onto my NetFlix queue! Got it last night and enjoyed it thoroughly. A classic. Not in the least bit realistic, but a classic nonetheless. I must say, I am truly flattered that you would take the time out of your ever so intellectually stimulating law blog to mention our website. While it is the leading funeral home directory in the world and serves more families than all other directories in the industry combined, it still is flattering. While some may question the ethics of advertising any non funeral related services on our website, the idea actually came from consumers asking for attorney referrals, since we had relationships with funeral homes, florists, estate/probate attorneys and grief counselors, why not wrongful death/accident attorneys? There are very few places attorneys can ethically advertise in a passive manner and we believe our website is one of those places. So from there the idea was launched. The fact is, the most important time to contact an attorney if your loved one has died from a wrongful death is shortly after they die, as any attorney should know and the fact is we have more consumers that visit our website at that time than any other website in the world, so why not provide ALL potential services a consumer may need regardless of the venue. Advertising on our website is no different than advertising on a bench ad in front of a hospital for medical malpractice or in front of the DMV for a traffic violation, if the intent is to truly assist consumers then the venue is irrelevant and that is our intent. Thanks again for the [link deleted] mention! …since we had relationships with funeral homes, florists, estate/probate attorneys and grief counselors, why not wrongful death/accident attorneys? Because we have ethics rules to consider that florists don’t. And because it looks incredibly slimy. Your link at the top to them is followed which helps with SEO. No it doesn’t. It is coded No Follow.